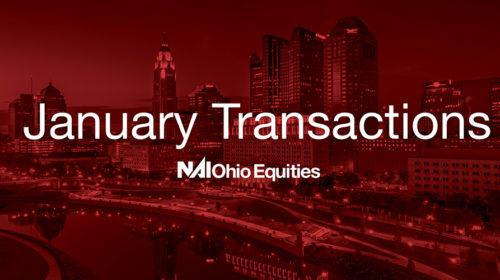 Two agents at NAI Ohio Equities were awarded during the Columbus Realtors Commercial Brokerage Awards dinner on March 8th, 2018. 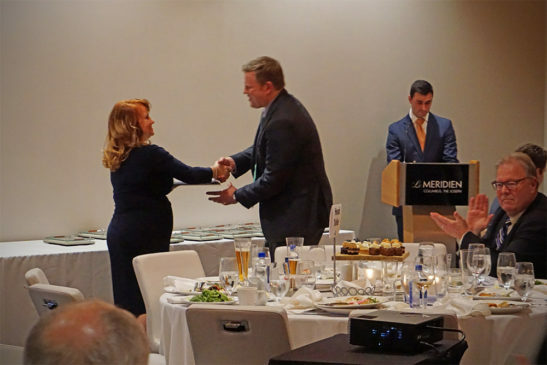 Jim Merkel, SIOR, CCIM received the 2017 Erika Blumenstein Memorial Award and John Mally received an award for Most Unique Commercial Transaction. 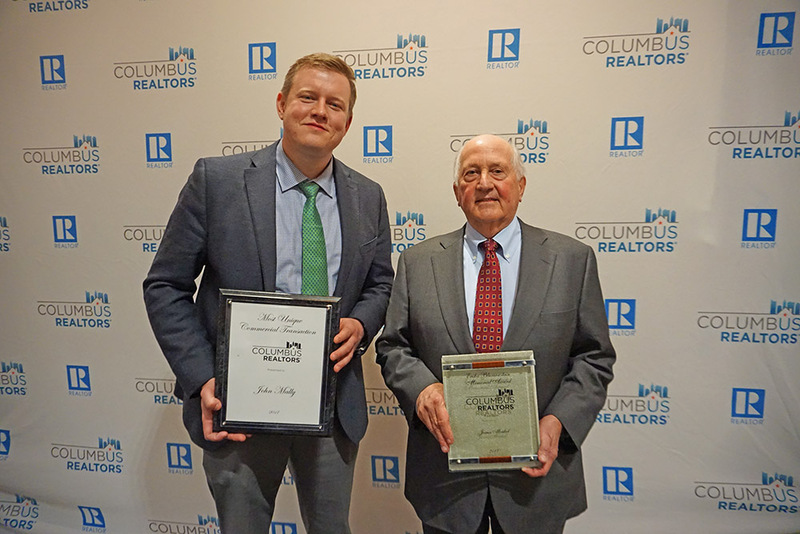 Jim received the award for his professionalism and outstanding commitment to the commercial real estate industry and to the Central Ohio community. Jim has been in the real estate industry for over 45 years and specializes in office, industrial and investment brokerage. 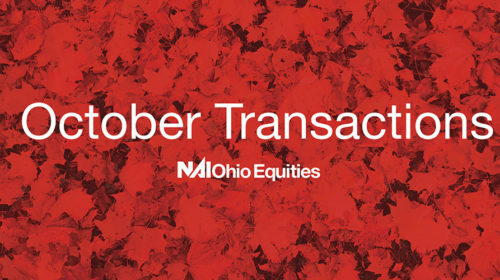 He provides value-add, comprehensive real estate services for his clients first, whether selling, leasing, buying or managing properties. 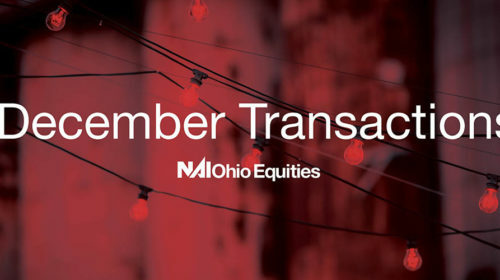 Jim is the second NAI Ohio Equities recipient chosen to receive the award; Co-founder George “Sandy” Simpson received the award in 2001. John received Most Unique Commercial Transaction award after working with Justin McAllister of Fortner Upholstery on consolidating numerous warehouse, office, and showroom space around Columbus and in return assisting Justin to purchase a 230,000 SF complex of an abandoned warehouse on the South Side of Columbus in a 1030 exchange. 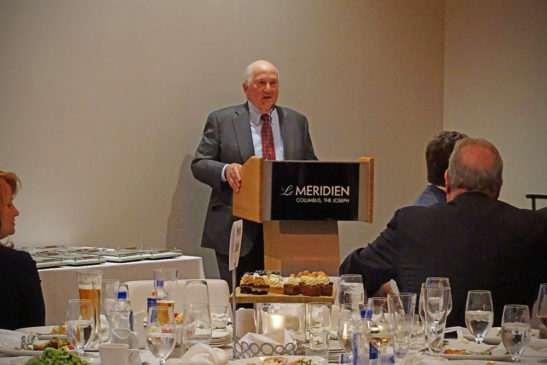 Congratulations to both Jim and John!